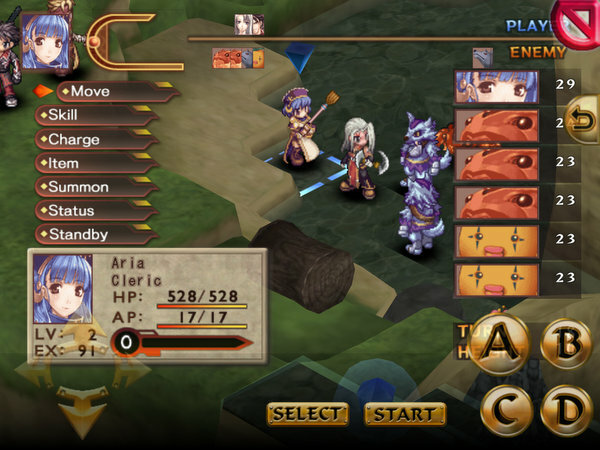 Blazing Souls Accelate is the iOS port of the Playstation 2 game that has seen releases on Xbox 360, Playstation Portable, and Playstation Vita. 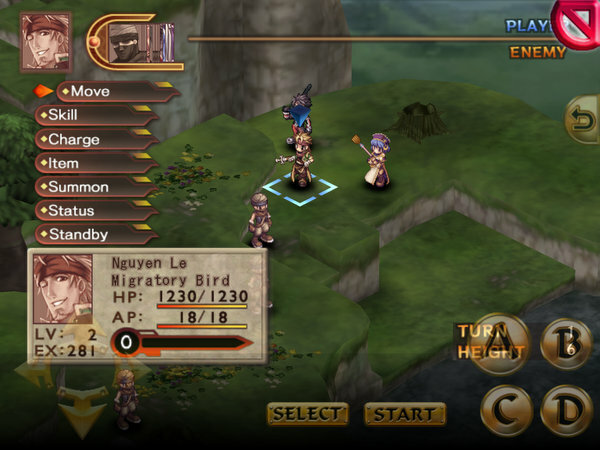 The tactical JRPG game boasts console length and quality for the iOS platform. Blazing Souls Accelate stars Zelos, an independent contractor who specializes in monster extermination. The Core Elemental, a mysterious item that seems to attract nothing but trouble, drags Zelos into a long adventure that ticks the boxes of JRPG story archetypes. The plot is forwarded along through cut scenes and conversations between characters. The first thing I noticed about Blazing Souls Accelate is how utterly unlikable the characters are. Zelos is the worst of the bunch, behaving more like a shallow and petulant teenager. The other characters are only slightly more tolerable than Zelos because of a more palatable demeanour. The delivery of the plot feels weak and disjointed. Characters seemed to be randomly introduced and the dialogue was completely forgettable. The story overall felt like an afterthought. Blazing Souls Accelate feels like a straight port from the Playstation Portable. A D pad, shoulder buttons, and face buttons are all virtualized on the screen. It is a crying shame considering the iPad’s large screen is an excellent platform for tactical RPGs like Blazing Souls Accelate. Instead of playing to the strengths of the device, gamers are treated to a virtualized gamepad slapped on. Amusingly enough, the main menu to quit the game is actually touch enabled, but nothing else. The controls are a bit clunky at times, especially with the larger iPad screen. However, many iOS games use a similar virtual gamepad. So all things could be forgiven if HyperDevBox at least made an effort to acknowledge the platform they are using. Pinch to zoom is one of the most basic actions on the iOS devices, an action two year olds have been filmed doing with ease. Instead, we are stuck with a swipe up to zoom in, swipe down to zoom out control. The games tutorials are extremely weak. Considering the game is actually quite complicated, this really puts the game out of reach of casual gamers who are new to the genre. This is definitely a game where gamers will want to spend the time to read through the whole game guide found in the menus as the in game tutorials seem to be a reworded version of the game guide. I would have preferred to see the game carefully explain mechanics step by step, ensuring the player completes each action correctly before continuing. This would have definitely lowered the learning curve and made the game more accessible to new players. The game is non linear. Players are not handed a completed map and told “go here, and here, then here.” Instead, players spend work points to unlock areas of the map then go search specific areas. If they the player is successful at finding an area, they must meet certain stats requirements or they are unable to find the area. 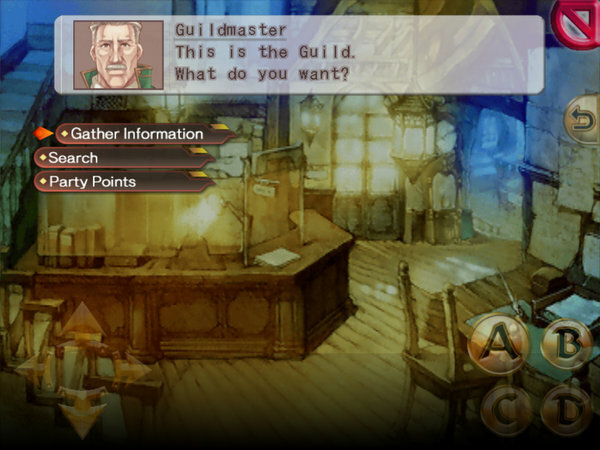 To improve their chances of finding an area, players must listen to people gossiping about things in the Guild to get a rough description of where to find the area on the map. Overall, this method is painfully clunky and still manages to be linear. The battle maps is split in two halves. First is the actual battle itself and the other half is a bit of a free roam portion. The free roam allows the player to explore, planting seeds, breeding monster eggs, and so forth. As the player roams around, a small bar fills with each action. When the bar is full the player begins the traditional tactical RPG battle. Although the virtual game pad hobbles the free roam section a little, the battles themselves are excellent. They are extremely deep, with plenty of options to maximize damage. Min/maxers will find a home in Blazing Souls with the combos, synthesis system, and the charge systems. Blazing Souls Accelate’s graphics are straight out of the PlayStation 2’s glory days. 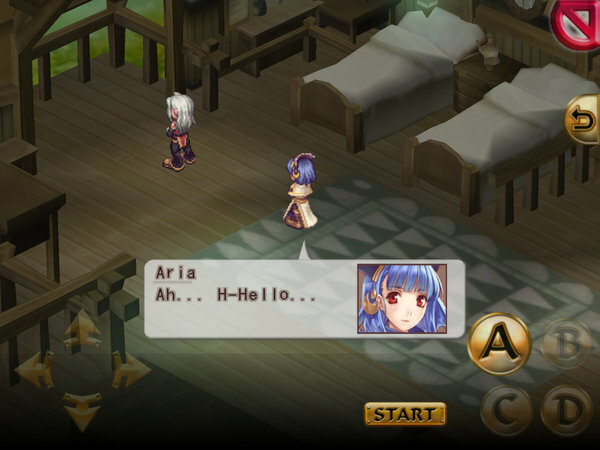 The anime style graphics are a bit dated, causing the sprites to look a little fuzzy at times. But even with the slight fuzziness, the game still looks great on the iPad’s Retina display. The game can be played in 4:3 standard or 16:9 widescreen. The game support AirPlay, which makes it a good option for those without a console at home. 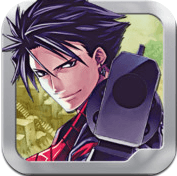 Blazing Souls Accelate is fully voice acted. 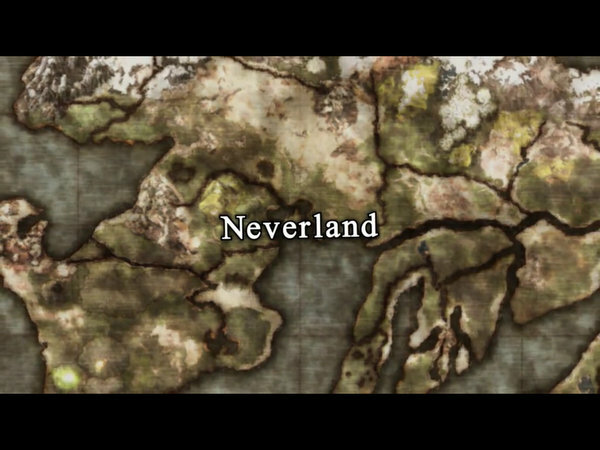 Although the voices are slightly mismatched to the characters at times, the voice acting is very good. Conversations in game and a few lines in battle are voice acted. The downside is the character responses in battles are a little short. There are several times where you will hear the character utter the same response to being hit over and over again. I would have loved to see an optional Japanese voice pack as I am one of the legion of JRPG fans who believe JRPGs are better in their original voice acting. The music and sound effects are also good. Sound effects never get too repetitive and are of high quality. The music fits the game well. Blazing Souls Accelate is definitely a game that can be enjoyed with a pair of headphones. Games are not like wine. They don’t get better with time. Yes, there are a few exceptions to that rule, but Blazing Souls Accelate is definitely not one of them. There are many better tactical JRPGs out there. Those willing to get past the steep learning curve, the utterly forgettable story, and the straight ported controls, will get rewarded with an incredibly complex tactical JRPG. Frankly, for the $14.00 price tag, it’s just not worth it.